In 6 days, we’re starting our 3rd season of Discussion Nights. Since our first meeting (reading Simone de Beauvoir in someone’s living room) a lot has changed. Today, I want to discuss a particular change: why we decided to ask an entrance fee. Up to now, we’ve asked for donations. After a meeting with all discussion night coordinators, we decided to start asking a set entrance fee. We understand that this raises some eyebrows. As we want our nights to be accessible to all, shouldn’t we refrain from asking a fee? Atria and Mama Cash have been hosting our nights for a long time, for free, including tea and coffee and employees staying until 22.30 at night after work. As these are organisations that we appreciate very much, we think it is time to give something back. Part of the entrance fee will therefore be a donation to our hosts. 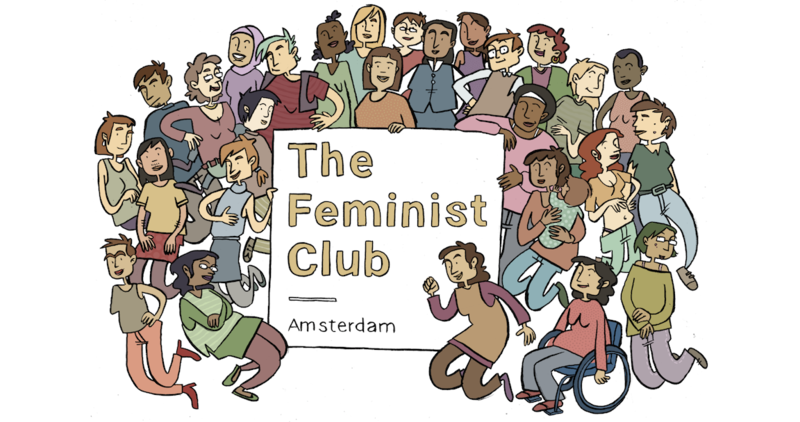 This year, we want to organize more Nights with speakers, experts on feminist topics. We find it important to pay speakers. A lot of feminist experts are often asked to do their labor for free. We want to contribute to a system where important work doesn’t go unpaid. The Feminist Club doesn’t cost a lot of money, but we do have some expenses. For instance: writing materials, name tags, banner materials for protests, and website hosting. Additionally, we’ve made some small donations to Women on Waves. To keep this up, we need some income. If there are people from further away who have low means, we want to be able to pay for their public transport tickets. We have worked with suggested donations in the past, but this didn’t really work for us unfortunately. Our entrance fees will not be enormous sums of money, the fee will vary between €2-5, depending on the contents of the evening. Nights with speakers will be a bit more expensive. However, we understand that this fee will be too much for some. If that is the case for you, you can send an e-mail to us and we will waver the fee. We want everyone to be able to come. If you are not able to come because of transportation costs, we can help you out by paying for your tickets. We hope you understand, and of course, if it turns out that this fee doesn’t work, we will be open to change.